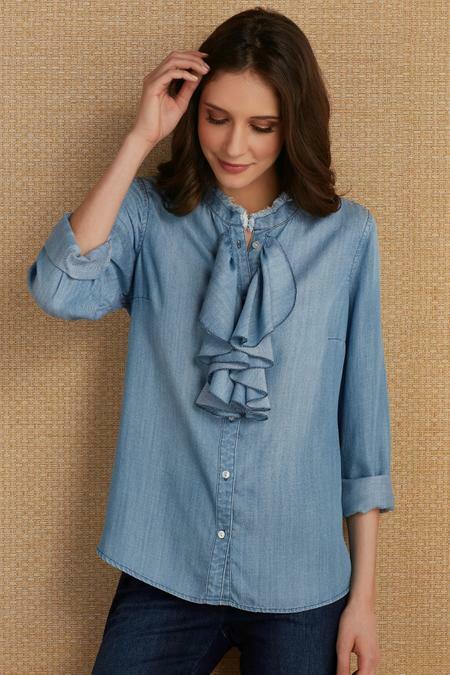 Take your denim look up a notch with this charming shirt of soft, woven chambray Tencel®. Details like faux-pearl buttons, a mandarin collar accentuated with an artsy frayed edge, and a flirty front ruffle make this denim top feminine, distinctive, and fun all at the same time. Tencel® Lyocell. Misses 26" long.